Tickets are on sale for the 4th annual Brewing Awareness for Autism fundraiser on Friday, April 26 at the Salt Creek Grille in Rumson! Autism MVP’s “Brewing Awareness for Autism” is one of their key fundraisers and is held in conjunction with Autism Awareness Month. This is their fourth annual event and this year it will be held in a cool, new location (on the water at the Salt Creek Grille in Rumson, NJ) and due to popular demand, an open bar for a portion of the evening! 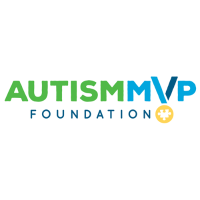 If you can’t make the event but still want to support Autism MVP’s mission, you can make a donation via their website or at anytime visit Amazon’s Smile program and choose the Autism MVP Foundation as your charity of choice. This program is no cost to you and the foundation will receive .5% on all qualifying purchases. It may not sound like a lot, but it adds up. It only takes a couple minutes to sign up, so happy shopping! 0 comment(s) so far on Brewing Awareness for Autism – Get Your Tickets NOW!